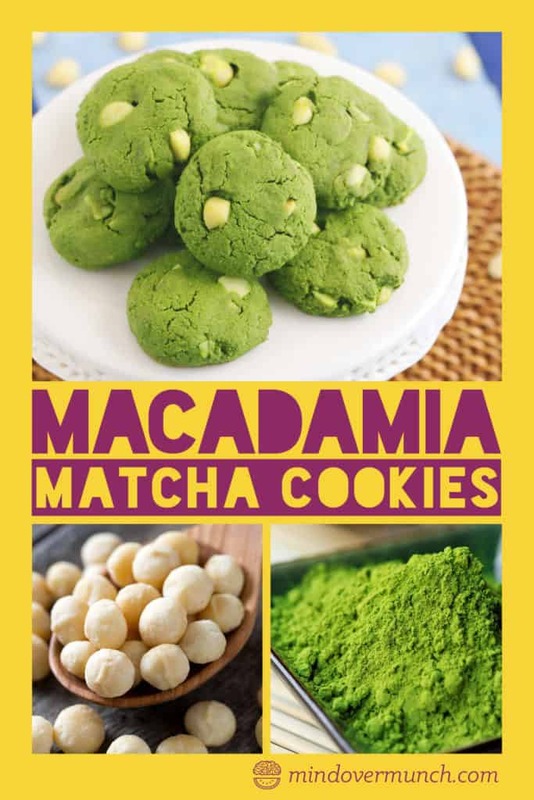 Macadamia Nut & Matcha Cookies Recipe – Green Tea Cookies! 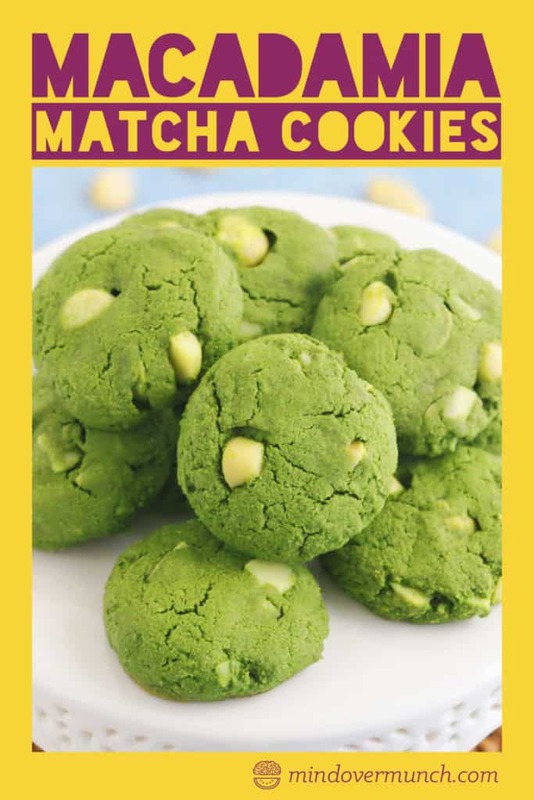 Turn your cookies into clean, green, antioxidant machines with matcha green tea powder! These matcha cookies are deliciously cakey, with an irresistible crunch from the rich macadamia nuts. And, totally gluten free thanks to the oat flour! 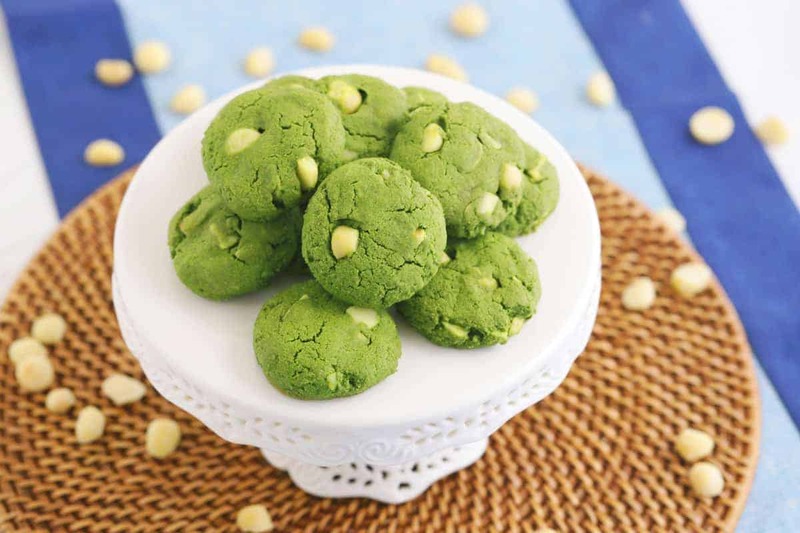 Matcha green tea powder gives these cookies their naturally vibrant green color. Plus, it has some powerful anti-inflammatory and detoxifying effects in the body! Just be sure to choose a high-quality matcha powder for maximum benefits. Matcha is all the rage right now. It’s a superfood powerhouse! After all, it’s packed with antioxidants, vitamins and minerals, boosts metabolism, and detoxifies and calms the body. 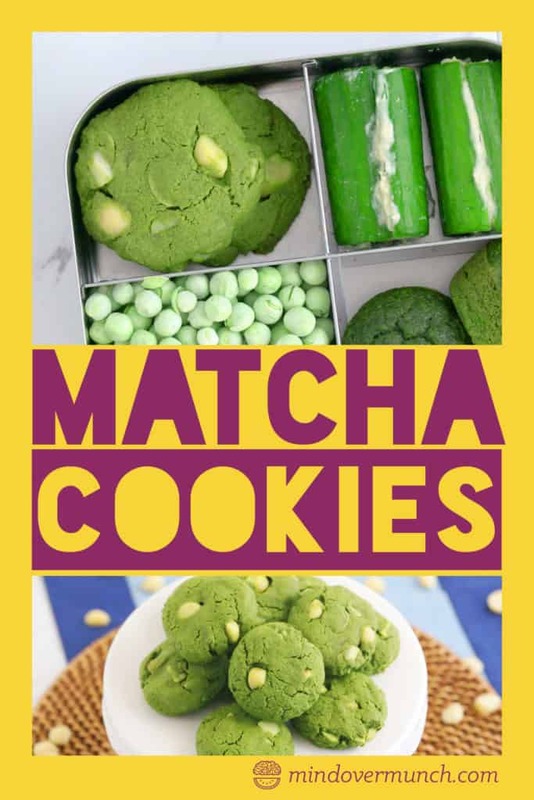 But, can these matcha cookies really do all of that? Well, maybe! The key with matcha for both taste and nutrition is getting a high-quality powder. Unfortunately, that means expensive. Typically, I don’t splurge on the ultra-expensive ingredients. But, when it comes to matcha, your best bet is walking into Whole Foods or an Asian supermarket and buying the most expensive matcha available. Yes, you’ll see the price and think twice about these matcha cookies… But, I encourage you to do take the second thought and continue forward. They are worth it! The powder should be bright green—not dull at all. 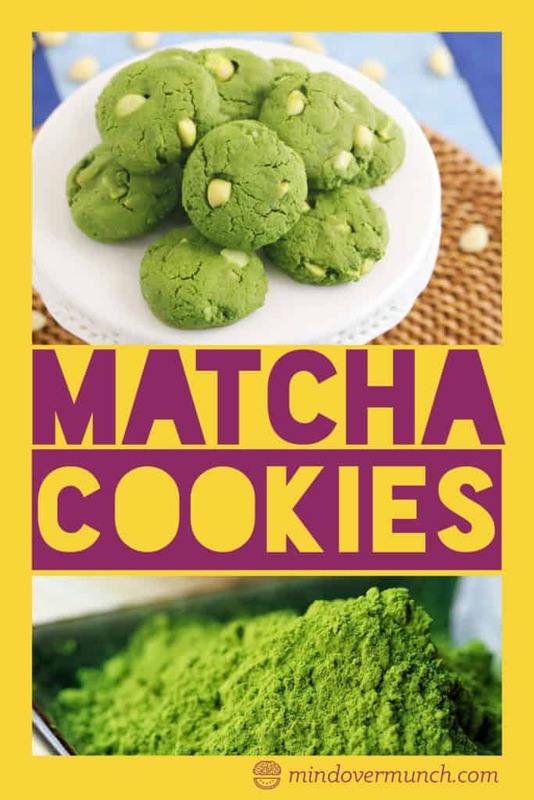 If it’s a dull green powder, it’s likely going to be bitter and make for not-as-tasty of matcha cookies. Now, matcha isn’t the only component of these cookies that are packing the nutritional punch. We’ve also got macadamia nuts! Of course, they’re the perfect nut for a cookie with their buttery deliciousness (completely my opinion, but probably true). But, they’re also rich in vitamins and minerals! And, loaded with benefits, like improving blood sugar levels, supporting gut health, relieving inflammation, boosting metabolism, and relieving stress. So, yeah—these matcha cookies can do a whole lot for you! 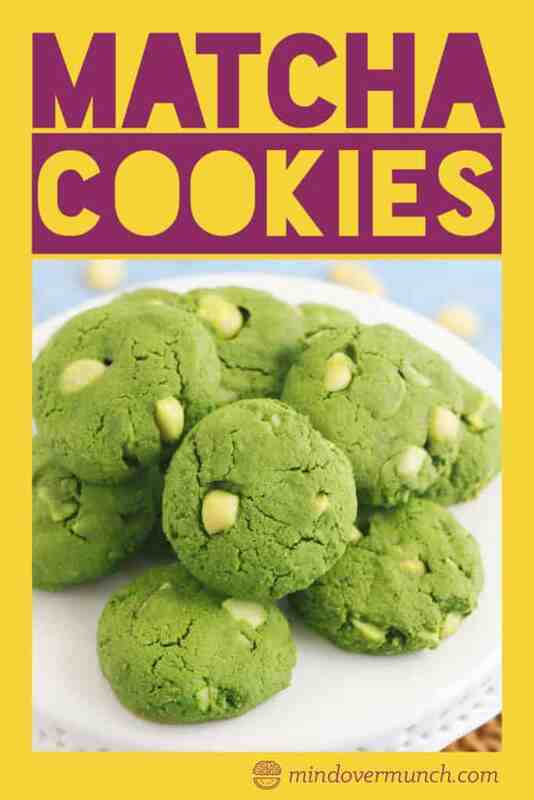 These matcha cookies use oat flour instead of wheat, so they are in fact gluten free! Remember, oats are one whole grain option that’s inherently free of gluten. And, they’re loaded with dietary fiber and essential vitamins and minerals! Perfect for healthy gluten free cookies. 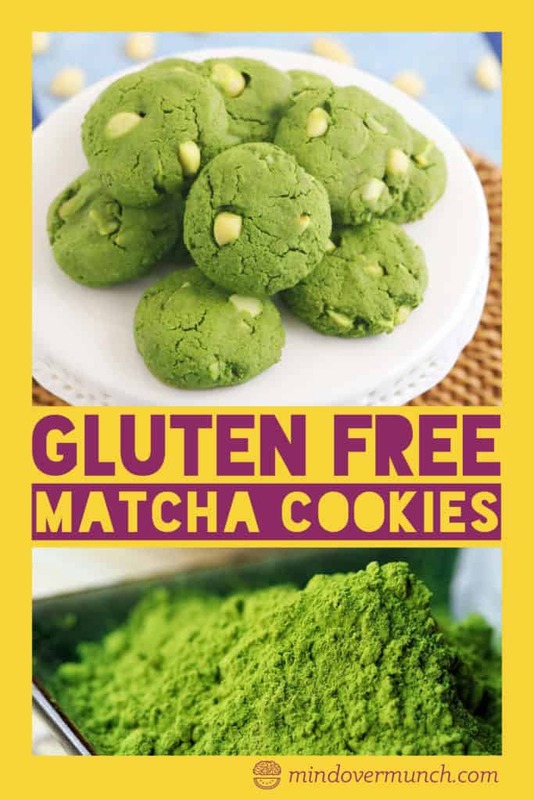 But, if you need to be sure these matcha cookies are gluten free for an allergy or sensitivity, make sure to buy a certified gluten free oat flour. Or, save a pretty penny by buying certified gluten free oats and blending up your own oat flour! Whisk together wet ingredients in one mixing bowl and dry ingredients in a separate mixing bowl. Sift dry mixture to remove any large clumps. Add dry mixture to wet. Stir in chopped macadamia nuts. Using a cookie scoop (I used a regular-sized 4-teaspoon scoop), portion cookies and place on a baking sheet lined with parchment. Flatten each cookie slightly with hands. Bake 10-12 minutes. They will lightly brown around the edges, but not much! *Nutrition calculated using grass-fed butter and erythritol for sweetener.